1. Ghana has not signed the Hague Convention on the Civil Aspects of International Child Abduction. 3. 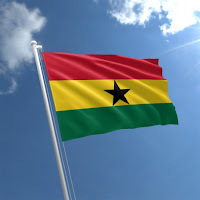 The Ghana Integrity Initiative issued a Report on Judicial Corruption in Ghana in 2007 that confirmed that there is a high level of perceived judicial corruption in Ghana. Lawyers there were asked whether they had ever been approached personally by staff of the Judicial Service for gifts or money in order to assist them in the conduct of their cases. Most lawyers were unwilling to answer this question and some described it as “too personal”. However, when the same lawyers were asked whether they were aware of instances where their colleagues had been approached by a court official to part with money or a gift to influence the decision of a judge or court process, they were willing to provide answers. To that question, 42% answered in the affirmative. 4. The U.S. State Department’s 2009 Human Rights Report for Ghana reports that although Ghana’s constitution and law provide for an independent judiciary; however, the judiciary was inefficient and subject to influence and corruption. Although Ghanaian law provides criminal penalties for official corruption, the government did not implement the law effectively, and officials frequently engaged in corrupt practices. The Metropolitan Oversight Committee of the Governing Council of the National African Peer Review Mechanism conducted a study in which 83.5 percent of respondents said that situations in which people paid bribes for justice had not improved. Seventy percent of respondents said judicial decisions were unfair.